The United States is so committed to the notion that its electoral process is the world’s “gold standard” that there has been a bipartisan determination to maintain the fiction even when evidence is overwhelming that a U.S. presidential election has been manipulated or stolen. The “wise men” of the system simply insist otherwise. We have seen this behavior when there are serious questions of vote tampering (as in Election 1960) or when a challenger apparently exploits a foreign crisis to create an advantage over the incumbent (as in Elections 1968 and 1980) or when the citizens’ judgment is overturned by judges (as in Election 2000). Strangely, in such cases, it is not only the party that benefited which refuses to accept the evidence of wrongdoing, but the losing party and the establishment news media as well. Protecting the perceived integrity of the U.S. democratic process is paramount. Americans must continue to believe in the integrity of the system even when that integrity has been violated. The harsh truth is that pursuit of power often trumps the principle of an informed electorate choosing the nation’s leaders, but that truth simply cannot be recognized. Of course, historically, American democracy was far from perfect, excluding millions of people, including African-American slaves and women. The compromises needed to enact the Constitution in 1787 also led to distasteful distortions, such as counting slaves as three-fifths of a person for the purpose of representation (although obviously slaves couldn’t vote). That unsavory deal enabled Thomas Jefferson to defeat John Adams in the pivotal national election of 1800. In effect, the votes of Southern slave owners like Jefferson counted substantially more than the votes of Northern non-slave owners. Even after the Civil War when the Constitution was amended to give black men voting rights, the reality for black voting, especially in the South, was quite different from the new constitutional mandate. Whites in former Confederate states concocted subterfuges to keep blacks away from the polls to ensure continued white supremacy for almost a century. Women did not gain suffrage until 1920 with the passage of another constitutional amendment, and it took federal legislation in 1965 to clear away legal obstacles that Southern states had created to deny the franchise to blacks. Indeed, the alleged voter fraud in Election 1960, concentrated largely in Texas, a former Confederate state and home to John Kennedy’s vice presidential running mate, Lyndon Johnson, could be viewed as an outgrowth of the South’s heritage of rigging elections in favor of Democrats, the post-Civil War party of white Southerners. However, by pushing through civil rights for blacks in the 1960s, Kennedy and Johnson earned the enmity of many white Southerners who switched their allegiance to the Republican Party via Richard Nixon’s Southern strategy of coded racial messaging. Nixon also harbored resentments over what he viewed as his unjust defeat in the election of 1960. So, by 1968, the Democrats’ once solid South was splintering, but Nixon, who was again the Republican presidential nominee, didn’t want to leave his chances of winning what looked to be another close election to chance. Nixon feared that — with the Vietnam War raging and the Democratic Party deeply divided — President Johnson could give the Democratic nominee, Vice President Hubert Humphrey, a decisive boost by reaching a last-minute peace deal with North Vietnam. President Richard Nixon with his then-National Security Advisor Henry Kissinger in 1972. The documentary and testimonial evidence is now clear that to avert a peace deal, Nixon’s campaign went behind Johnson’s back to persuade South Vietnamese President Nguyen van Thieu to torpedo Johnson’s Paris peace talks by refusing to attend. Nixon’s emissaries assured Thieu that a President Nixon would continue the war and guarantee a better outcome for South Vietnam. Clifford’s words expressed the recurring thinking whenever evidence emerged casting the integrity of America’s electoral system in doubt, especially at the presidential level. The American people were not to know what kind of dirty deeds could affect that process. 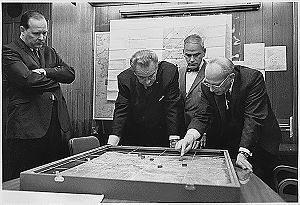 The evidence also strongly suggests that Nixon’s paranoia about a missing White House file detailing his “treason” – top secret documents that Johnson had entrusted to Rostow at the end of LBJ’s presidency – led to Nixon’s creation of the “plumbers,” a team of burglars whose first assignment was to locate those purloined papers. The existence of the “plumbers” became public in June 1972 when they were caught breaking into the Democratic National Committee’s headquarters at the Watergate in Washington. In effect, Watergate gets walled off as some anomaly that is explained by Nixon’s strange personality. 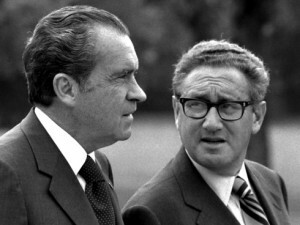 However, even though Nixon resigned in disgrace in 1974, he and his National Security Advisor Henry Kissinger, who also had a hand in the Paris peace talk caper, reappear as secondary players in the next well-documented case of obstructing a sitting president’s foreign policy to get an edge in the 1980 campaign. In that case, President Jimmy Carter was seeking reelection and trying to negotiate release of 52 American hostages then held in revolutionary Iran. 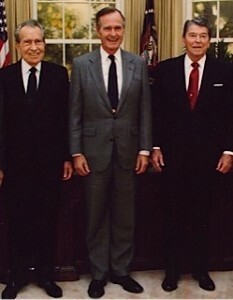 Ronald Reagan’s campaign feared that Carter might pull off an “October Surprise” by bringing home the hostages just before the election. 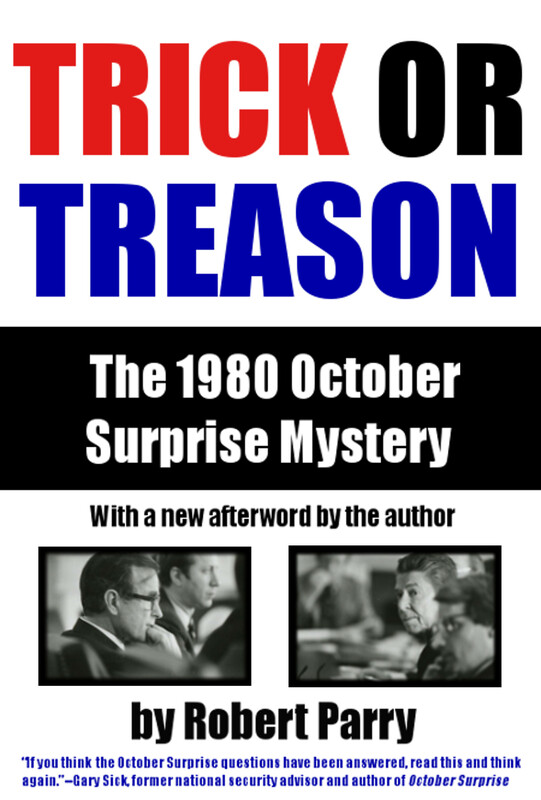 So, this historical mystery has been: Did Reagan’s team take action to block Carter’s October Surprise? President Ronald Reagan, delivering his Inaugural Address on Jan. 20, 1981, as the 52 U.S. hostages in Iran are simultaneously released. The testimonial and documentary evidence that Reagan’s team did engage in a secret operation to prevent Carter’s October Surprise is now almost as overwhelming as the proof of the 1968 affair regarding Nixon’s Paris peace talk maneuver. That evidence indicates that Reagan’s campaign director William Casey organized a clandestine effort to prevent the hostages’ release before Election Day, after apparently consulting with Nixon and Kissinger and aided by former CIA Director George H.W. Bush, who was Reagan’s vice presidential running mate. By early November 1980, the public’s obsession with Iran’s humiliation of the United States and Carter’s inability to free the hostages helped turn a narrow race into a Reagan landslide. 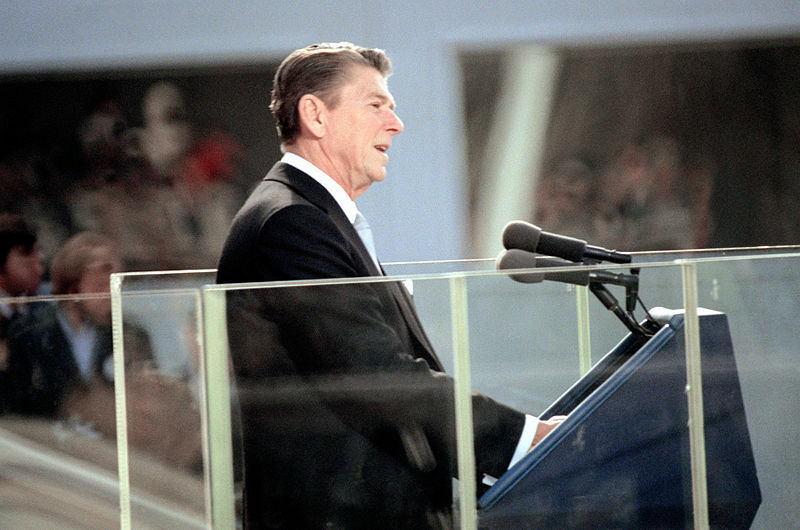 When the hostages were finally let go immediately after Reagan’s inauguration on Jan. 20, 1981, his supporters cited the timing to claim that the Iranians had finally relented out of fear of Reagan. Bolstered by his image as a tough guy, Reagan enacted much of his right-wing agenda, including passing massive tax cuts benefiting the wealthy, weakening unions and creating the circumstances for the rapid erosion of the Great American Middle Class. Behind the scenes, the Reagan administration signed off on secret arms shipments to Iran, mostly through Israel, what a variety of witnesses described as the payoff for Iran’s cooperation in getting Reagan elected and then giving him the extra benefit of timing the hostage release to immediately follow his inauguration. Those early covert arms shipments to Iran evolved into a later secret set of arms deals that surfaced in fall 1986 as the Iran-Contra Affair, with some of the profits getting recycled back to Reagan’s beloved Nicaraguan Contra rebels fighting to overthrow Nicaragua’s leftist government. While many facts of the Iran-Contra scandal were revealed by congressional and special-prosecutor investigations in the late 1980s and early 1990s, the origins of the Reagan-Iran relationship was always kept hazy. The Republicans were determined to stop any revelations about the 1980 contacts, but the Democrats were almost as reluctant to go there. A half-hearted congressional inquiry was launched in 1991 and depended heavily on then-President George H.W. Bush to collect the evidence and arrange interviews for the investigation. In other words, Bush, who was then seeking reelection and who was a chief suspect in the secret dealings with Iran, was entrusted with proving his own guilt. By the early 1990s, the mainstream U.S. news media was also tired of the complex Iran-Contra scandal and wanted to move on. As a correspondent at Newsweek, I had battled senior editors over their disinterest in getting to the bottom of the scandal before I left the magazine in 1990. I then received an assignment from PBS Frontline to look into the 1980 “October Surprise” question, which led to a documentary on the subject in April 1991. 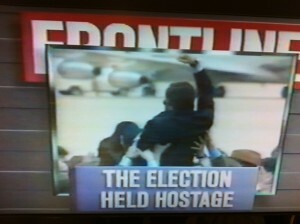 PBS Frontline’s: The Election Held Hostage, co-written by Robert Parry and Robert Ross. However, by fall 1991, just as Congress was agreeing to open an investigation, my ex-bosses at Newsweek, along with The New Republic, then an elite neoconservative publication interested in protecting Israel’s exposure on those early arms deals, went on the attack. They published matching cover stories deeming the 1980 “October Surprise” case a hoax, but their articles were both based on a misreading of documents recording Casey’s attendance at a conference in London in July 1980, which he seemed to have used as a cover for a side trip to Madrid to meet with senior Iranians regarding the hostages. Although the bogus Newsweek/New Republic “London alibi” would eventually be debunked, it created a hostile climate for the investigation. With Bush angrily denying everything and the congressional Republicans determined to protect the President’s flanks, the Democrats mostly just went through the motions of an investigation. Meanwhile, Bush’s State Department and White House counsel’s office saw their jobs as discrediting the investigation, deep-sixing incriminating documents, and helping a key witness dodge a congressional subpoena. Years later, I discovered a document at the Bush presidential library in College Station, Texas, confirming that Casey had taken a mysterious trip to Madrid in 1980. The U.S. Embassy’s confirmation of Casey’s trip was passed along by State Department legal adviser Edwin D. Williamson to Associate White House Counsel Chester Paul Beach Jr. in early November 1991, just as the congressional inquiry was taking shape. Williamson said that among the State Department “material potentially relevant to the October Surprise allegations [was] a cable from the Madrid embassy indicating that Bill Casey was in town, for purposes unknown,” Beach noted in a “memorandum for record” dated Nov. 4, 1991. Two days later, on Nov. 6, Beach’s boss, White House counsel C. Boyden Gray, convened an inter-agency strategy session and explained the need to contain the congressional investigation into the October Surprise case. The explicit goal was to ensure the scandal would not hurt President Bush’s reelection hopes in 1992. C. Boyden Gray, White House counsel under President George H.W. Bush. Among “touchstones” cited by Gray were “No Surprises to the White House, and Maintain Ability to Respond to Leaks in Real Time. This is Partisan.” White House “talking points” on the October Surprise investigation urged restricting the inquiry to 1979-80 and imposing strict time limits for issuing any findings. But Bush’s White House really had little to fear because whatever evidence that the congressional investigation received – and a great deal arrived in December 1992 and January 1993 – there was no stomach for actually proving that the 1980 Reagan campaign had conspired with Iranian radicals to extend the captivity of 52 Americans in order to ensure Reagan’s election victory. Former Rep. Lee Hamilton, D-Indiana. In 2014 when I sent a copy of Beach’s memo regarding Casey’s trip to Madrid to former Rep. Lee Hamilton, D-Indiana, who had chaired the October Surprise inquiry in 1991-93, he told me that it had shaken his confidence in the task force’s dismissive conclusions about the October Surprise issue. “If the White House knew that Casey was there, they certainly should have shared it with us,” Hamilton said, adding that “you have to rely on people” in authority to comply with information requests. But that trust was at the heart of the inquiry’s failure. With the money and power of the American presidency at stake, the idea that George H.W. Bush and his team would help an investigation that might implicate him in an act close to treason was naïve in the extreme. Arguably, Hamilton’s timid investigation was worse than no investigation at all because it gave Bush’s team the opportunity to search out incriminating documents and make them disappear. Then, Hamilton’s investigative conclusion reinforced the “group think” dismissing this serious manipulation of democracy as a “conspiracy theory” when it was anything but. In the years since, Hamilton hasn’t done anything to change the public impression that the Reagan campaign was innocent. Still, among the few people who have followed this case, the October Surprise cover-up would slowly crumble with admissions by officials involved in the investigation that its exculpatory conclusions were rushed, that crucial evidence had been hidden or ignored, and that some alibis for key Republicans didn’t make any sense. 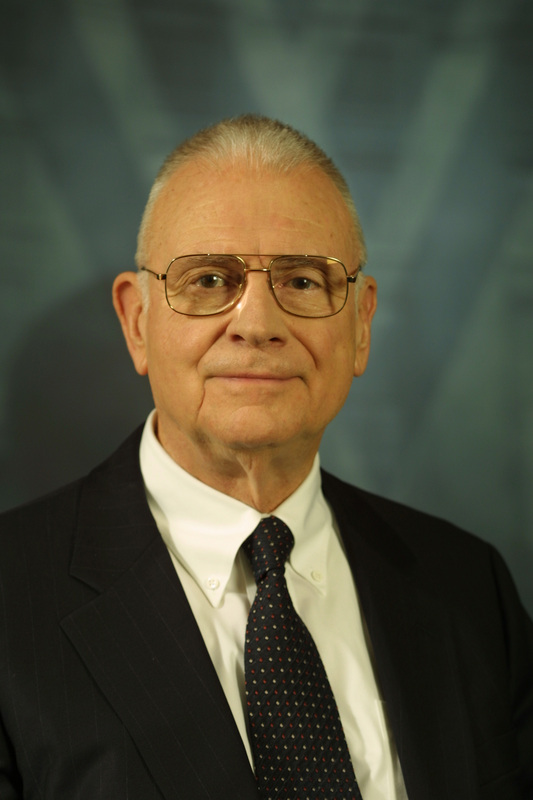 Lee Hamilton’s decision to “clear” Reagan and Bush of the 1980 October Surprise suspicions in 1992 was not simply a case of miswriting history. The findings had clear implications for the future as well, since the public impression about George H.W. 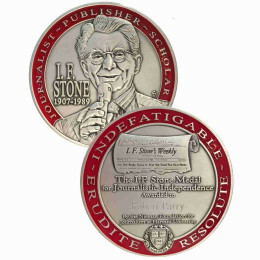 Bush’s rectitude was an important factor in the support given to his oldest son, George W. Bush, in 2000. Indeed, if the full truth had been told about the father’s role in the October Surprise and Iran-Contra cases, it’s hard to imagine that his son would have received the Republican nomination, let alone made a serious run for the White House. And, if that history were known, there might have been a stronger determination on the part of Democrats to resist another Bush “stolen election” in 2000. 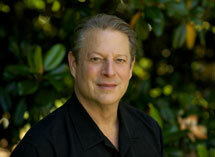 Regarding Election 2000, the evidence is now clear that Vice President Al Gore not only won the national popular vote but received more votes that were legal under Florida law than did George W. Bush. 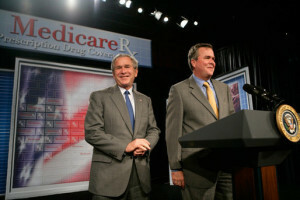 But Bush relied first on the help of officials working for his brother, Gov. Jeb Bush, and then on five Republican justices on the U.S. Supreme Court to thwart a full recount and to award him Florida’s electoral votes and thus the presidency. The reality of Gore’s rightful victory should have finally become clear in November 2001 when a group of news organizations finished their own examination of Florida’s disputed ballots and released their tabulations showing that Gore would have won if all ballots considered legal under Florida law were counted. However, instead of leading with Gore’s rightful victory, the news organizations concocted hypotheticals around partial recounts that still would have given Florida narrowly to Bush. They either left out or buried the obvious lede that a historic injustice had occurred. On Nov. 12, 2001, the day that the news organizations ran those stories, I examined the actual data and quickly detected the evidence of Gore’s victory. In a story that day, I suggested that senior news executives were exercising a misguided sense of patriotism. They had hid the reality for “the good of the country,” much as Johnson’s team had done in 1968 regarding Nixon’s sabotage of the Paris peace talks and Hamilton’s inquiry had done regarding the 1980 “October Surprise” case. Within a couple of hours of my posting the article at Consortiumnews.com, I received an irate phone call from The New York Times media writer Felicity Barringer, who accused me of impugning the journalistic integrity of then-Times executive editor Howell Raines. I got the impression that Barringer had been on the look-out for some deviant story that didn’t accept the Bush-won conventional wisdom. However, this violation of objective and professional journalism – bending the slant of a story to achieve a preferred outcome rather than simply giving the readers the most interesting angle – was not simply about some historical event that had occurred a year earlier. It was about the future. Looking back on these examples of candidates manipulating democracy, there appears to be one common element: after the “stolen” elections, the media and political establishments quickly line up, shoulder to shoulder, to assure the American people that nothing improper has happened. Graceful “losers” are patted on the back for not complaining that the voters’ will had been ignored or twisted. 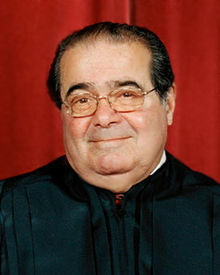 U.S. Supreme Court Justice Antonin Scalia. Similarly, Rep. Hamilton is regarded as a modern “wise man,” in part, because he conducted investigations that never pushed very hard for the truth but rather reached conclusions that were acceptable to the powers-that-be, that didn’t ruffle too many feathers. But the cumulative effect of all these half-truths, cover-ups and lies – uttered for “the good of the country” – is to corrode the faith of many well-informed Americans about the legitimacy of the entire process. It is the classic parable of the boy who cried wolf too many times, or in this case, assured the townspeople that there never was a wolf and that they should ignore the fact that the livestock had mysteriously disappeared leaving behind only a trail of blood into the forest. So, when Donald Trump shows up in 2016 insisting that the electoral system is rigged against him, many Americans choose to believe his demagogy. But Trump isn’t pressing for the full truth about the elections of 1968 or 1980 or 2000. He actually praises Republicans implicated in those cases and vows to appoint Supreme Court justices in the mold of the late Antonin Scalia. Trump’s complaints about “rigged” elections are more in line with the white Southerners during Jim Crow, suggesting that black and brown people are cheating at the polls and need to have white poll monitors to make sure they don’t succeed at “stealing” the election from white people. There is a racist undertone to Trump’s version of a “rigged” democracy but he is not entirely wrong about the flaws in the process. He’s just not honest about what those flaws are. The hard truth is that the U.S. political process is not democracy’s “gold standard”; it is and has been a severely flawed system that is not made better by a failure to honestly address the unpleasant realities and to impose accountability on politicians who cheat the voters. Excellent history by someone who was there watching. But, despite his unique insight, I can’t believe Parry makes no mention of how the Ohio election was stolen from Kerry by the Cheney/Bush team in 2004. “Winning” in Ohio resulted in the re-election of Cheney and Bush and the theft that gave them that win is well-documented by filings in the King Lincoln Bronzeville v. Blackwell case as reported by Bob Fitrakis in The Free Press in 2011. Fitrakis and attorney Cliff Arnebeck, lead attorney in the King Lincoln case, worked for years to unravel the long trail of deceit in Ohio where Republican Sec. of State Ken Blackwell had used every trick available to undermine the election and hand it to Cheney and Bush. If voter suppression, limited voting stations in Democratic districts which created long waits, and numerous other tricks wasn’t enough, the final vote count was electronically channeled through a server controlled by Republican IT expert, Michael Connell, in Chattanooga, TN where they were streamed through what is called a “man in the middle” server configuration, a setup commonly used to doctor data as revealed by documents obtained in the lawsuit. Exit polling on the evening of the election showed a clear Kerry victory in Ohio which changed overnight as the votes were doctored by Republican operatives. The divergence of the exit polls with final count should have set off alarm bells but for reasons unknown, the results weren’t challenged by Kerry or questioned by the press. And the same was true when this hard evidence of a stolen election emerged, it was completely ignored by the press just as in so many of the instances that Parry reveals above. That, unfortunately, is nothing new, what’s surprising is that Parry doesn’t seem to know about it. If he does, it should have definitely been included in this history. The pledge of allegiance being administered in public schools borders on fascism. And the “god” thing is illegal. 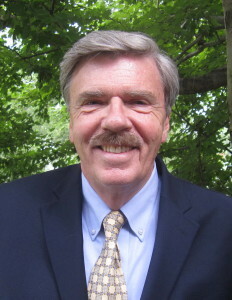 I was surprised that Robert Parry’s story ignored the Republican theft of the 2004 election. Robert Kennedy and Rolling Stone did a big, convincing story on it and there are several books and articles. That was a big one! It could be argued that the 2004 election was more of a “gift” than a “theft”. Yes, there was some serious cheating, but the Democrats resolutely ignored it. And I’m quite positive Kerry had no intention of winning. Like, the man was from the exact same secretive fraternity at their common college as the Codpiece Commander Bush. How much cozier can you get than that? And look how the warmongering idiot Kerry has finally demonstrated what he really is with his current role as Secretary of State. I figure he and the Big Brass Democrats were totally OK with what Bush the Dumber was doing in 2004. The amount of Criticism and Conversation (commentary) regarding the article in totality seems to be extremely informative, alas a refuge to clarify the befudled harlot “Spreading Democracy ™” has ravaged thruout recent history. But i must bemuse my fellow readers & Mr. Parry that the root of it all starts with accountability. This can be seen in something refered to as “DECLARATION OF CANDIDACY OATH FORM” which every state has a different criteria and name for it. But it basically states you are running for office and you are “whom you say you are” and verifications such as IDENTIFICATION cards are NOT needed where a WITNESS MAY VOUCH for your identity. This I believe is the root cause of all non-verifiable PUBLIC office holders. The truth is simpler than reality. 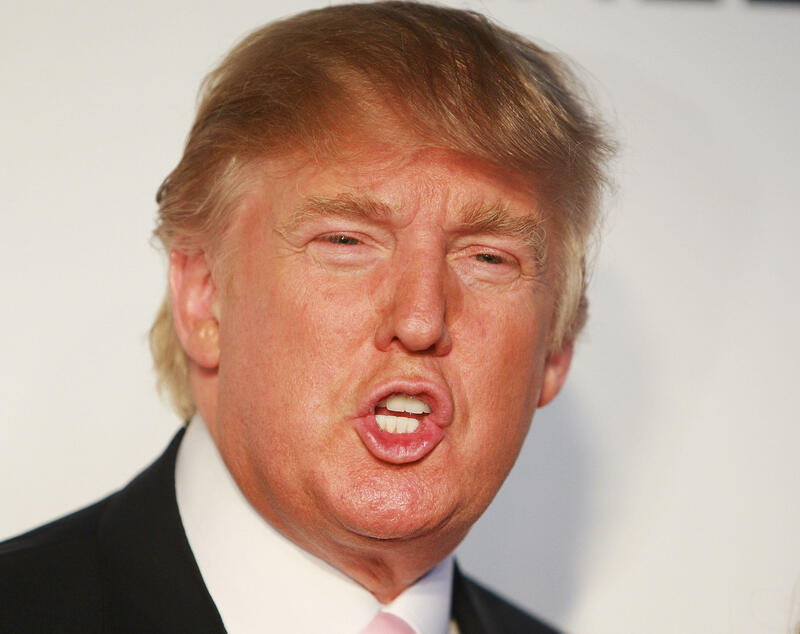 You were doing fine until, “So, when Donald Trump shows up in 2016…”. From that point on you went off the rails with a gratuitous, deranged rant against the Great Orange One. Try to stay focused Mr. Parry. Perhaps the October Surprise of Election 2016 is FBI Director James Comey’s statement today saying that the FBI is going to continue the previously closed investigation of Hillary Clinton. That nasty corrupt woman may yet fall victim to her own mendacity. Hoover’s bugging of Nixon’s Campaign plane where Nixon’s people were talking about going backdoor behind Johnson was illegal and would have gotten Hoover fired if it ever became public That doesn’t seem to matter to Parry here. Talk is just talk. Johnson escalated the Vietnam was it and Johnson who pushed through the Gulf of Ton-kin Resolution . That Johnson would have ever pulled off an agreement with North Vietnam is a fantasy. As for the fraud in 1960, Illinois was more egregious than Texas and Mayor Daly and the Teamsters and some said Hoffa and The Mob all had a hand in it. Why doesn’t that merit a mention? Somehow I think there will be the usual shenanigans in this election too, If you count it numbers, and taking a couple of Parry’s points into account, in my lifetime there has been fraud and dirty tricks in 1960, 68 an assassination of a Kennedy in 72, Iran hostages in 80, in 92 (cam you say Ross Perot and 17%) 96, 2000, 2004 ( Ohio voting irregularities). The question should be why does it matter what the elites say or acknowledge? We all know it’s rigged and it’s a 2 Party fix at that . In this election the media has self rigged in Clinton’s favor for certain but if the people were to protest vote and elected Trump, well then we will all see the real slim shady shake down for real . Richard – great article. Thank you. “Neither side understands the problem” ?!?!? BOTH sides have contributed to creating “the problem” and, therefore, MUST understand it. Since there is evidence that every step of the electoral process is compromised and suspect, I’ve got to wonder if they really bother to actually count votes. Or is the outcome of the “election” actually arrived at behind the scenes by negotiations between the real power brokers, the oligarchs who own all the pawns and fund the entire process? How would the public ever know, especially since the corporate media seems to be complicit in all the hanky panky? Just make up some numbers to bolster the pre-determined “winners.” They say we have a “two party” system in this country (which provides little choice as is), but for decades iconoclasts like Gore Vidal would contend that it was really just two wings of a single party arriving at the leader the insiders would select for us–there would be intense competition, but it was all in-fighting behind the scenes. I have always suspected that model to be true and all the rest–the campaigns, the primaries, the conventions–are just so much window dressing in what is really a predetermined orchestrated pageant, i.e., a make-believe feel-good story that the people can swallow without gagging. Here Trump speaks to the power that the establishment holds, and how this election is a make or break election. Five minutes long. It is the American people who are responsible for ALLOWING the Supreme Court to “select” W.Bush as President. Very few people objected when it happened. I don’t remember anyone pointing out that two of the five Justices that handed down a 5to4 decision were appointed by W’s father George H.W. Bush and yet did not recuse themselves. Also, one of the lawyers that shepherded Bush v. Gore through the Supreme Court was John Roberts. YES, the same John Roberts that W later appointed to Chief Justice. So stinkingly corrupt. There is one thing rarely ever mentioned in all of the media insistence of election integrity in this country. The U.S. uniformly and regularly refuses to allow international observers into the country to monitor American elections. Some of this, certainly, is an expression of American “exceptionalism,” and some of that resistance is borne out of the determination to promote and propagandize for the United States as the world’s sole and longest-running arbiter of the nature and processes of democracy. Any dispassionate belief in free and fair voting as the bedrock of democracy would tend to invite any and all scrutiny of our voting processes (not to mention would invite criticism of points of failure in the system). However, quite the opposite occurs in this country, from how both formal and informal systems of power seek to marginalize and effectively disenfranchise minority voters to how those systems turn third-party candidates, for practical purposes, into non-persons, to the general failure of representatives to respond to the popular democratic will, and even though those factors are perennially a part of our electoral system, they’re rarely acknowledged by the press, let alone given the sort of sustained attention required to effect permanent structural improvement in the electoral process. We don’t allow outside scrutiny because such would expose the deep and enduring flaws in our system, and expose the paucity of the emperor’s democratic wardrobe. Most informed voters have sought out and read either yours or others reports. What you have written here is aligned with my understanding of these issues. To the credit of your colleagues though, I am not convinced they were wrong. Our nation is in many ways a giant powder keg awaiting the right spark to set it off. Likely more so prior to the 2000 election of Bush. Presently, we have another fuze prepped and ready on the powder keg. I do suspect pre-embedded firmware hacks @ poll machines as well as area selective voter intimidation and suppression. I sincerely hope I’m wrong. In any event, I do not envy you or your colleagues decisions for publication. Knowing the right thing to do is so much easier that it sounds. Good luck, May God Bless you, your colleagues and our nation. Thanks for this, Mr Parry! To state the obvious, the myths of “free” elections and the wonderful workings of democracy should be destroyed but it will never happen because of timid politicians and the presstitutes do not want the charade exposed. This is remarkably close to the lies of “exceptionalism” and “indispensible nation” which are becoming laughable around the world. I would guess that it is too much to expect when so much power and money is concentrated in the hands of the few that some sense of honesty, ethics, would prevail. That belief would be extraordinarily naive because this is what we have: do anything to win: treason, assassination, fraud, etc, etc. As some journalist once said (paraphrased), this is your democracy, America-cherish it!?! Gad, it makes me nauseous! in the end, the compromise that gave slave states representation for 3/5 of their slave population was a concession reached only by threat of a Southern walkout. That is an excellent and very informative summation. I had known of some of this, but was not aware of Morris argument. Thank you very much for sharing. Story, after story, after story confirms…….At this time the entire planet earth is entering cesspool level #3……This is a bad f*#king dream….right? Hey! I want a refund !!! There isn’t suppose to be a level this low…….. I don’t belong to any party so I have decided the best way to manage the current crop of politicians and get some ‘balance ‘ is to vote for Repubs for national office and Dems for state governors and state legislatures.. Thanks for this timely and informative look at recent election-rigging history. It has been surreal watching the TV pundits discuss Trump’s talk about rigged elections while always carefully avoiding any of the extremely serious history Robert Parry recounts in this article. That’s an oligarchy for you. No matter how the voters vote and for whom they vote the plutocrats and their bought-and-paid-for oligarchs in the duopoly will do what they perceive to be in their immediate personal interests with little to no regard for the people and the nation, two entities that are their objects for plunder. One of greatest means of rigging elections is another form of voter suppression: the Democrats’ and Republicans’ collusion in state legislatures to make it almost impossible for third parties to even get on ballots, and when they do, they have spent most of their resources just clearing the obstacles. This result of this conjoined action makes many potential voters stay home rather than vote for unconscionable candidates (like Trump and Clinton). I would submit that voter suppression in the e-machine states is a calculated distraction to divert attention from the machines themselves. When you can so easily tinker with the machine’s output, you need to provide another “problem” to draw attention from that. There lots of ways to “rig” an election, and many of them are in common usage. Gerrymandering. “Running out” of ballots. Purging the voter rolls. Too few machines creating long lines in strategic districts. Challenging voters or ballots based on incidence of similar or same names. Failure to announce registration requirements. Media blitzes aimed at favoring or discouraging turnout. Impossibility of verifying or recounting electronic machines. Voter intimidation. Inadequate staffing in strategic locations. Changing venues on short notice. A couple of these were at work in the New York and California primaries. I submit that it is not only practiced, but it is widespread and endemic to American democracy. Certainly, Trump’s insinuations may be misplaced, but his accusations are closer to the truth than the denials. Just the way I see it, and I’m an old guy. I don’t believe we’ve had a clean presidential election since Eisenhower. Americans need to ask themselves: would people who go to war based on bald-faced lies be above rigging elections? I think not. The article was worthless, but the use of “widespread” in that headline was the key point to me. The authors were trying to give the impression that “rigging” was not likely because it had to be “widespread”. This just isn’t true. In any election there are a handful of key points in just one or two states which will tilt the election either way. All the hackers have to do is identify these points, and then plan how to pull it off without detection. The Clintonistas might get greedy enough to actually make enough vote grabs as to become easily detected if they want to snare both houses of Congress. Some of them are surely arrogant and incompetent enough to try. But even if detected would the Corporate Media carry the story? Or would they work to attribute it all to rightwingnut paranoia? Back in the early part of the 20th century my Mother’s Dad rented they’re family house basement out to the voting polls. My Mother told me stories of how as a little girl she would watch many voters come and go. Among the many she said there were quite a few voters who you saw coming and going more than others, and many more came and went more than twice. So cheating in elections is normal, so much so that it should probably be made legal. Although that story is quaint compared to what is going on today. Back in my Mother’s youthful days when my Granddad rented out his basement, it was local party bosses who ran the show. Each side had them. Today it appears as thought this political machine that we all have to deal with, is far to big to conceive in any imaginable way, if you want to get somewhere with it. Corporate giants, elite aristocracy, mass corporate controlled media, the arms industry, the pharmaceutical complex…all stacked up to elect that one special person who will carry their cause, and provide for their needs. It just all seems so overbearing. At least my Grandfather could have walked up to one of those old party big Chiefs, and got himself a job, or a favor granted. Today the crowd that holds all the keys is way beyond a regular persons reach, and with that, that is the shame of it, because none ot it belongs to you anymore. Ok, I just have to share a story from the Communist elections. After WW2, the country was officially still non-communist, but the communists have taken over all spheres of life, including the elections. An international level decision was made to hold the “free and fair elections” between the party of the royal government in exile and the communist party. At that time, many people outside of cities were illiterate and the election process was simplified so that the voter was given a 1cm diameter timber ball to drop into one of the two voting boxes, after passing hand over each for confidentiality. All the communist organisers of the free and fair elections had to do was to keep the opposition voting boxes (made also of timber) empty – regularly counted. The high fall into an empty box and noise created ensured that all “anti-progress” individuals were easily identifiable, that is in trouble. Naturally, this non-illegal trick discouraged voting for the royal government. The election was clean and by the book, but the chosen side won. I guess they did not have the next best thing to timber balls dropped into timber voting boxes – the electronic software voting machines. Plus you have the 2004 voting and vote-counting machine hackings (Ohio and who knows where else), and then there’s also gerrymandering which always seem to benefit conservatives and conservaDems. So should we really trust either side of the 3 branches to give us secure elections? One day they’re telling us that they’ll do the counting (P. King) and the next they say these machines are hack proof. If there’s a will, of which there most definitely is (money, money, money), there’s a globalization way. A month after the California primary, California’s Secretary of State announced the counting of ballots from the primary had come to an end. Nearly 1.7 million votes were added to the election-night totals. Bernie Sanders did indeed win a majority of the new votes, reducing Clinton’s popular-vote margin from 12 to 7 percent, and her delegate majority in the state from 63 to 33. Republican National Committee (RNC) chairman and self-appointed “voter fraud” expert Reince Priebus Tweeted: “Sanders’ supporters must be wondering if their candidate has suddenly sold out to the same rigged system he so strongly campaigned against”. Investigative journalist Greg Palast, an actual expert on the reality of Democratic and Republican voter suppression, revealed how rigged the system really is. The Clintons and a Crime Far Worse Than Missing Emails or Votes! Palast and a team of experts have exposed a scheme by 29 Republican state voting officials to remove voters, a program directed by ultra-right Trump operative Kris Kobach Secretary of State of Kansas. Taking off from Trump’s unsubstantiated claim that “people are voting many, many times,” GOP officials are targeting voters who are allegedly voting or registered in two states and can therefore vote a second time in November. While voting twice is a felony crime, and less than 6 voters have been convicted of this crime, the GOP purge operation is removing tens of thousands of innocent voters. Palast (Rolling Stone, Guardian, BBC) is the author of The New York Times bestsellers, The Best Democracy Money Can Buy and Billionaires & Ballot Bandits, which opened as a feature documentary movie in New York on September 23 & Los Angeles on September 30. Thank you for this excellent review of the issue. Your prior writings, which this includes and summarizes, are perhaps the best on all of these issues of anybody’s. I think there’s an omission here of JFK possibly stealing the election of 1960, through ballot box stuffing in Texas and Illinois. Just saying. Not like the other thefts aren’t there either. Is there somewhere I can read more on this? The spreading of this mythology begins long before Americans are eligible to vote. Teaching children in elementary school to memorize the pledge of allegiance gets the indoctrination off to an early start. That is followed by the story of our three branches of government providing checks and balances so that we will all live happily ever after. There are, of course, the myths and fairy tales propagated from Hollywood and countless television channels constantly leading the young and not-so-young to follow the leaders. Based on a conversation I had with a friend several years ago, I suspect we were not the only people who spent lots of time in our adult years unlearning what we learned as children and young adults. Nothing wrong with the pledge of allegiance ‘to the nation’ if one understands that the founders like Washington expounded many times on the ‘common good’ of the people which requires UNITY in the nation. There are those who don’t understand the ‘ hang together or hang separately’—-if they cant have everything on their personal wish list they declare the whole country to be trash cause they cant get their way. “The harsh truth is that pursuit of power often trumps the principle of an informed electorate choosing the nation’s leaders, but that truth simply cannot be recognized”. First of all, the statement as written is unduly weak. It would be more accurate to say that, “The harsh truth is that pursuit of power always trumps any principle”. As for “…that truth simply cannot be recognized”. Well, duh. Obviously. Thanks for this. It is really astonishing how the mass media and the establishment piled on Trump for suggesting the elections were rigged. Their defensiveness is a sure sign that they, too, know it is rigged. The biggest fraud was the claim first maid by debate moderator Wallace that Trump would refuse the American tradition of the peaceful transition of power. But power is not transferred on election day or anytime soon after. There is plenty of time to count and re-count ballots and for lawsuits to run their courses. Power is transferred on inauguration day when the new president swears an oath to uphold the constitution and all the laws of the US. American democracy is more about mythology than anything else. It’s kind of hard to recount electric ballots when there is no paper trail. Nearly all elections arranged by the US in “spreading Democracy(tm)” have been rigged, from Syngman Rhee in S Korea, Diem in S Vietnam, and many in S America. So the willingness to rig the actual counts of elections is not only there, it is accepted as normal by US agencies. Even now we see the battle for Mosul carefully scheduled to occur after the election, so Killary can pretend horror at civilian casualties of the Aleppo campaign by Russia even while planning about ten times that many civilian casualties in Mosul. But these means of election rigging are the hard way, and the old way. The modern way is much easier. The machines are simply programmed to accept bias messages and report the raw data incorrectly. Check that data all you want later, and it will be perfectly correct tallies of incorrect votes. I design computerized control systems professionally, and know that this would be easy to do, and very hard to discover if intended to be secret. There are always cooperative engineers of the desired political persuasion, and most managers would be happy to “protect” the US from those unwashed mobs voting out there. The US already has such sneaky software in every military system sold abroad, every router in the country, and all modern personal computers. We are all being spied upon right now. Does anyone really imagine that the voting machines are not tampered? How extremely naive. This is why the oligarchy is so concerned to “protect” the US “confidence” in the voting system. Only the thief has such an abiding concern with confidence in the security system he seeks to defeat. Sam – “We are all being spied upon right now. Does anyone really imagine that the voting machines are not tampered? How extremely naive.” Naivety in the extreme. Some people just cannot wrap their minds around the fact that the 1% are simply toying with them. The website https://www.rt.com/usa/364628-clinton-rigging-palestine-tape/ reports today that Clinton regretted that the US had not fixed the Palestinian election of 2006. Truly an unsavory history! Yet where is the diligence to ensure that only citizens vote? It isn’t there. If we are honest about who can vote in this country i.e. anyone even the illiterate, then all gags on the media will be removed. We should not pay for our unsavory history today. Next time I am in a foreign country I will try to vote to prove my point about the lack of concern about the citizenship requirement and see if the U.S. is truly exceptional. When we get out the vote it’s too late to fill in the gaps our education system did not fill. It is not only the integrity of America’s electoral system that should be in doubt, especially at the presidential level, but the entire political-financial-industrial-foreign policy-whatever-else system that should be regarded with the utmost skepticism. This is an example of de facto collusion with one party facilitating a victory for the other party. 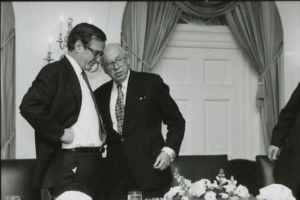 In his collection of essays in the book Indispensable Enemies Walter Karp gives many examples of the Democrat and Republican party bosses colluding with each other – not for the benefit of the country but for their own mutual benefit. Karp also describes intra-party collusion for the mutual benefit of the factions involved. The deceptions in which the Bourbon Democrats in the South and the Northern Democrats participated are but one example. Yes, the 1%, whether Democrat or Republican, ensure that whoever gets elected, it is to “their own mutual benefit”. Collusion, for sure. This election is about class, the 1% versus the 99%. The 1% are using divide and conquer tactics to split the voters. Don’t let them. Vote against the 1%, unless you’re one of them. Please tell me who I’m supposed to vote for that is against the 1% in this election because I don’t see them anywhere. Vote for Jill Stein of the Green Party. Every vote for her accomplishes two things. It supports a platform that supports the 99% and it’s a vote against the corrupt two party system. People have a right to be, and should be, concerned about election rigging. But the focus on vote rigging at the polls is counterproductive at best and a deliberate diversion from the real problem at worst. Vote rigging at the polls, while less than perfect, is less than the mouse droppings in the election rigging activities of the political parties. Manipulating the candidates, manipulating the press, manipulating campaign funds and public support for qualified candidates, manipulating the voter registration process, manipulating political district boundaries, undermining political opponents by sabotaging domestic or foreign programs and proposals are just a few of the ways that the parties can set up a favorite candidate and undermine an opponent. And there are many, many more ways to rig elections that are far more egregious than the small amount of vote rigging at the poles. When you can ensure that your candidate will win before the polls open, vote rigging isn’t necessary. Anyone who carefully watched the nomination of Hillary Clinton saw how the DNC had locked in her nomination long before anyone got to vote. Anyone who carefully watched the nomination of Trump saw how the media awarded him with unlimited, free press coverage while the RNC sat back and did nothing. Between the two, they guaranteed that Hillary will be our next president and rigging voting machines is a waste of time. As Bob Parry points out, there are far greater evils in the election rigging process than the minor attempts to rig the voting process. This was an interesting and useful essay, but it somehow managed to ignore the nuts-and-bolts aspects of stealing a modern election. I’m referring now to the no-verification e-voting machines. Consider the election of Charles Timothy “Chuck” Hagel in Nebraska. The respected Washington, DC publication The Hill (www.thehill.com/news/012903/hagel.aspx) has confirmed that former conservative radio talk-show host and now Republican U.S. Senator Chuck Hagel was the head of, and continues to own part interest in, the company that owns the company that installed, programmed, and largely ran the voting machines that were used by most of the citizens of Nebraska. Back when Hagel first ran there for the U.S. Senate in 1996, his company’s computer-controlled voting machines showed he’d won stunning upsets in both the primaries and the general election. The Washington Post (1/13/1997) said Hagel’s “Senate victory against an incumbent Democratic governor was the major Republican upset in the November election.” According to Bev Harris of http://www.blackboxvoting.org, Hagel won virtually every demographic group, including many largely Black communities that had never before voted Republican. Hagel was the first Republican in 24 years to win a Senate seat in Nebraska. What Hagel’s website fails to disclose is that about 80 percent of those votes were counted by computer-controlled voting machines put in place by the company affiliated with Hagel. Built by that company. Programmed by that company. Consider also the events in Georgia following the introduction of the Diebold no-verification voting machines. A solidly Democratic state instantly turned into a firm Republican one. In my opinion there had been a coalition of big city (Atlanta, etc.) liberals who combined with the rural black population to elect Democrats. When the easily hackable Diebolds arrived, this arrangement was overturned forever. We are to believe there was a 12-point swing in votes within 5 days of the election causing a sitting incumbent Max Cleland to be upset by a knuckle-dragging chickenhawk Republican challenger. The good white Republican citizens of George consider the workings of Providence to be a wonderful and mysterious thing – now THEY are the ones who run the state, and of course that’s the way things ought to be. It’s my opinion that Mr. Parry ought to take a look at the Big Picture and then revisit this story. Wow that is an incredibly disheartening article albeit very informative. Events are happening so rapidly now you can hardly get copy out fast enough. The back story on the Clinton emails is that whilst loyalists were able to close down the main investigation, the attempt to get the s.o.b. husband of Clinton’s aide (senator Weiner) resulted in the FBI getting the proof they needed that classified material was being sent on … wait for it …Yahoo servers. Yes, that would be the same Yahoo that had a massive security breach last year. Abidin is screwed and I would imagine so is Clinton.